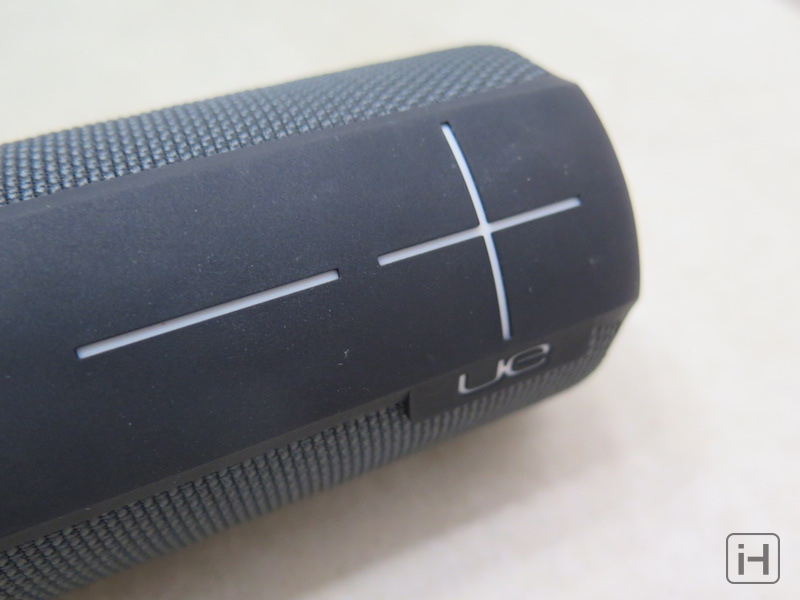 Back in October of last year, I was able to review the awesome UE MEGABOOM speaker. Some of the features I loved was it’s simple and useful design, great sound quality, and cool features such as the ability to pair up with other UE speakers. 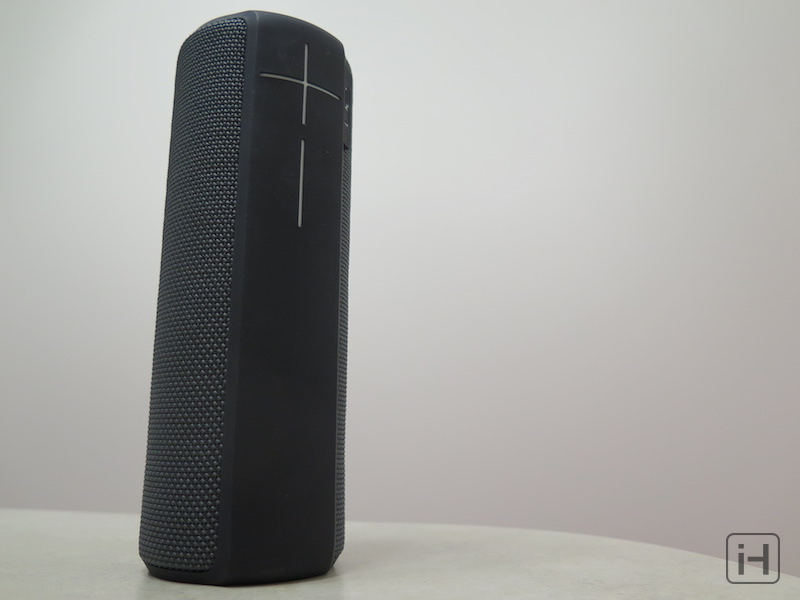 While we loved the UE MEGABOOM, at $300, it can be a pricey buy for some consumers. If you want the MEGABOOM, but can’t swallow the price, the UE BOOM 2 is definitely something you should look into. 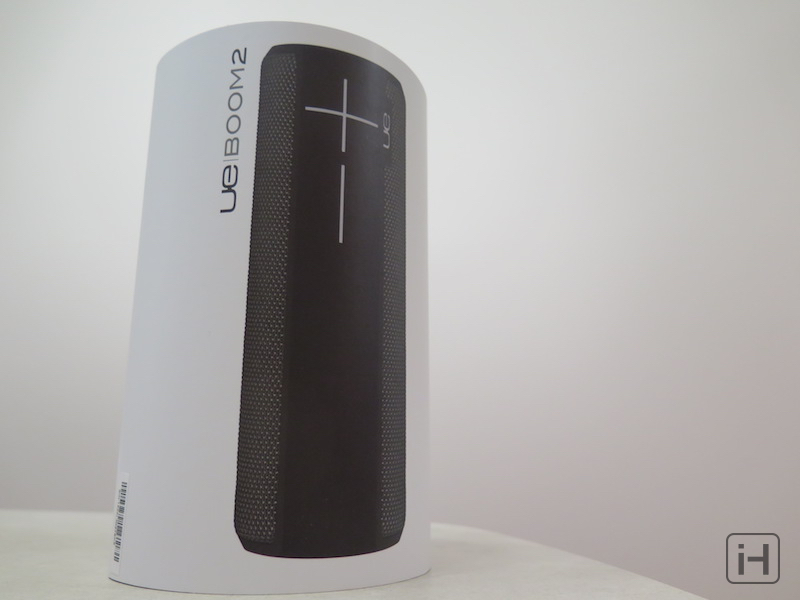 The UE BOOM 2 looks like a cute mini version of the UE MEGABOOM. It’s smaller, and it’s lighter. This proves to have both advantages and disadvantages. We’ll discuss the downsides later, but first, let’s focus on the advantages the smaller form factor gives. First off is the portability. While the UE MEGABOOM is very portable, it’s a tad bit heavier than I would like. Not only is the BOOM 2 smaller, it’s much lighter, making it more ideal for carrying around. I sometimes found myself preferring it to the MEGABOOM just for that reason alone. Pretty much all of the features of the MEGABOOM are present in the BOOM 2. It has the same IPX7 Waterproof rating (1 meter for 30 minutes), which makes it great for a beach party. It has the same great 100ft range with Bluetooth. I found that no matter where my phone and speaker were in the house, the music sounded great without any distortion or playback issues. It also has a 3.5mm headphone jack for your “legacy” devices. 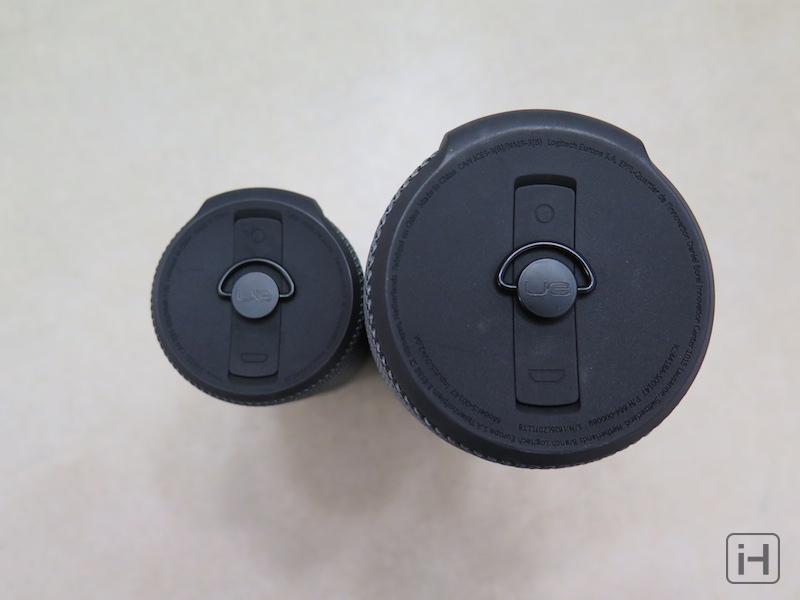 When I reviewed the MEGABOOM back in October, you had the ability to pair up to 50 speakers. Since then, Ultimate Ears has increased that number to over 150! While it doesn’t appear that they have revealed the exact number it can go up to, they did set the world record for “Most Bluetooth Speakers Playing from a Single Source.” It used 208 BOOM 2s and MEGABOOMs. Needless to say, you probably will be able to connect as many UE speakers as you possibly can without running into any trouble. One thing that I love with both the BOOM 2 and the MEGABOOM is the app. 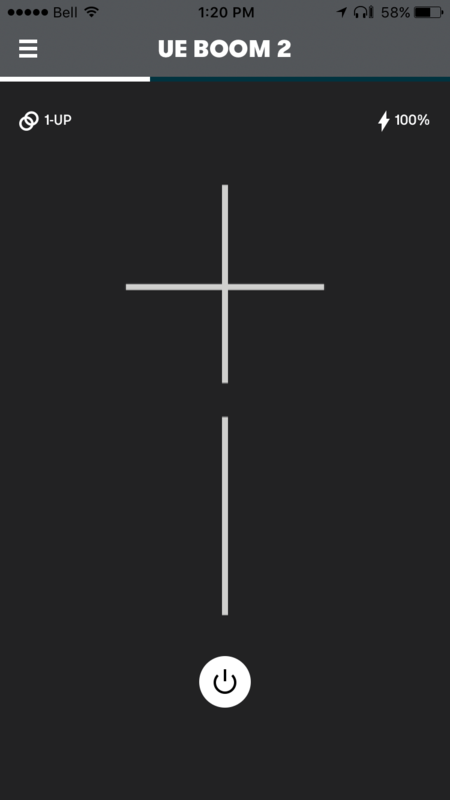 When I was reviewing this, I was in the middle of moving. After I was done, I wanted to relax a bit to some music, but I couldn’t find where my speaker was. Since I had no idea where it would be, I simply fired up the UE BOOM app and remotely turned on the speaker. I could hear the bongo startup sound, and I found the speaker immediately in a place I probably never would have look at otherwise. 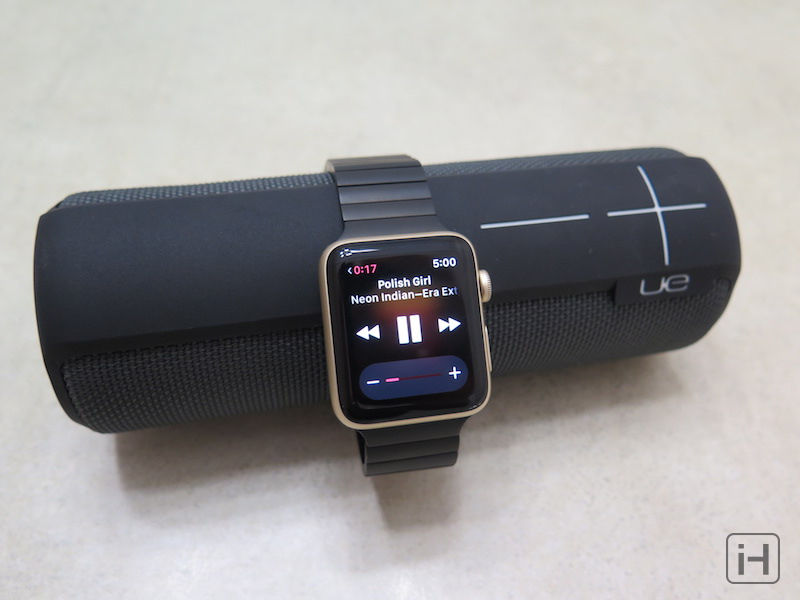 I only wished that it had a companion Apple Watch app, and that the speaker apps were combined into one “UE” app. It’s ever so slightly annoying to have a separate app for the MEGABOOM and BOOM 2. Add a UE ROLL into the mix, and you got 3 separate apps. Still, the apps are great, and they allow you to get the most out of your speaker. Battery life is great, especially considering the small form factor. On average, you should get around 15 hours of playback. Charging time is still the same: 2 and a half hours. Keep in mind that the battery life is an estimate. If you have the volume down lower, you could squeeze a few more hours into that. Which you’ll probably get because, at full volume, the UE BOOM 2 gets loud! While comparing the BOOM 2 and MEGABOOM, I noticed that the MEGABOOM was only slightly louder. This really surprised me, considering the fact that the BOOM 2 is significantly smaller. The area where the MEGABOOM beats the BOOM 2 is in the bass. The MEGABOOM has significantly bigger base, making you feel the music much more. That’s not to say the BOOM 2 is lacking in bass in any way, because it does have some pretty solid bass, but there is a noticeable difference when you compare it to the MEGABOOM or some of the BOOM 2’s competitors around that price range. Still, at only $199, the sound quality you’ll be getting is great. So, should you buy the BOOM 2? If you had been eyeing the MEGABOOM, but couldn’t afford it’s $300 price tag, the BOOM 2 makes a stellar buy, shaving off $100. As long as you can accept the tradeoff of a smaller battery and less bass, I highly recommend it. If you’re looking at a great portable speaker in general, I would also highly recommend you take a look at the BOOM 2. With its great battery life, great portability, loud sound, and cool extra features, you’re bound to be happy with your purchase. You can buy the UE BOOM 2 for $199 at Ultimate Ears’s website. Do you own a UE MEGABOOM or UE BOOM 2? How do you like it? Do you have any other favourite portable speakers? Let us know the in comments section down below!